The dangers about a stroke condition is the risk of brain cells dying owing to oxygen deprivation and the inability of the blood to flow smoothly to deliver nutrients to the brain cells and tissues. When this happens, the brain’s function is arrested and death may potentially result. Without a proper treatment, stroke can progress as a life threatening condition. The brain is a vital part of the body that controls its cognitive process and motor activities. It is also responsible for vital bodily functions such as breathing, speech, movement, sight, hearing, digestion, circulation and cardiac function. Is the person able to smile? Do you notice asymmetry when a person raises his eyebrows? Do the muscles of his face contract symmetrically when you ask the person to show his teeth? Is the person able to raise one or both arms? Does the person complain weakness or loss of sensation in the arms? Is the person able to speak? Is the speech slurred? Slurring of speech is one of the classical symptoms of a stroke. Is the person able to walk without losing coordination? Does the person complain of weakness of the leg or unable to feel it? A stroke person’s chief complains usually includes the feeling of numbness or weakness of the face, arms and legs, usually on side of the body, confusion in speaking, impaired vision in one eye (sometimes both), loss of coordination and dizziness. If you believe that a person is manifesting the common symptoms of a stroke, make sure to call for help. While waiting for the medical responders, reassure and make the person lie down with the head and shoulder slightly elevated. If the person is not responsive, let the person lie on the left side. 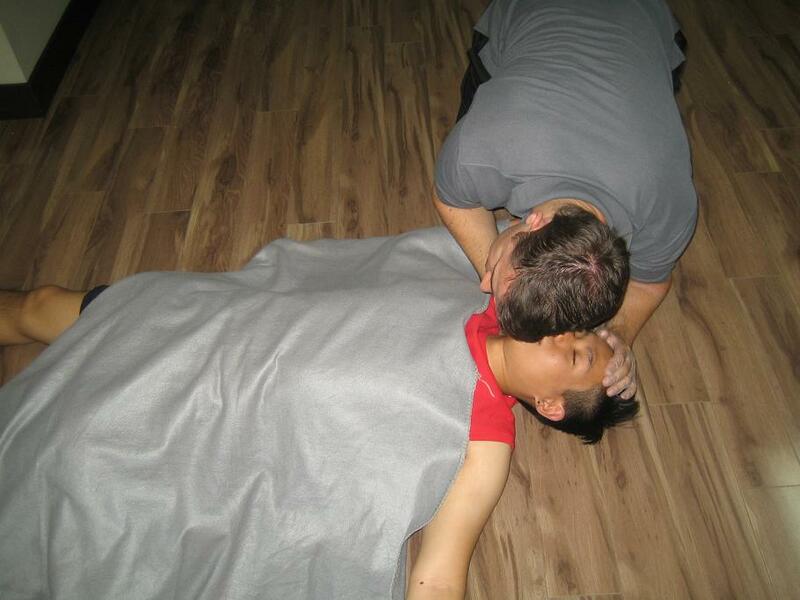 Give a CPR if the person is not breathing. Do not give the person anything to eat or drink while waiting for help. It is important to keep the person relax to prevent the potential risk of a heart attack. Stay with the person until help arrives. Better Health Channel. Stroke. Retrieved on June 27, 2014 from http://www.betterhealthchannel.vic.gov.au/bhcv2/bhcarticles.nsf/pages/Stroke.